Have you been told your damaged UPVC windows or doors can&#146;t be fixed? Repair & Care fix 90% of double glazing problems the same day, and we repair your windows and doors quickly and cheaply! We believe a repair can make a product better, safer and stronger than before. Because of our experience in dealing with repairs we can normally assess problems over the phone and with our well stocked van and knowledge we will repair your problem the same day. 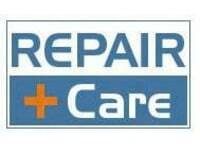 Whether it is a cat-flap needing fitting, a new door panel handle or a new conservatory roof, Repair & Care are the sensible choice, because we really do repair & care.